Once upon a time in 2008, CEO of jones the grocer LLC, Yunib Siddiqui was traveling his regular business route from Vietnam to London, when he picked up a copy of Wallpaper magazine. Flipping through the pages, he found an article about jones the grocer – an Australian gourmet food emporium that had recently opened its first international store in Singapore. A consummate foodie, without any professional experience in the food industry, he was taken by the concept. Something told him that it was time to make a career switch, and jones the grocer seemed a perfect fit. “I thought, this is great, I’d love to do this. It appealed to all my senses,” recalls Siddiqui, a member of Young Presidents’ Organization in Dubai since 2014. “When I got back to London I tried to get hold of the guy who owned it; it took me a while but when I finally reached him he suggested a meeting in Singapore the following week.” After two days of negotiations, Siddiqui left with an agreement to bring jones the grocer to the United Arab Emirates (UAE). “The UAE was somewhere I had visited often and I felt that jones the grocer would service an uncharted niche”. Now began the hard task of putting together a financial plan, understanding how to do business in a new country and raising investment. It was the time the economy was running full throttle and high rents in Dubai made the nascent business plan unworkable. Funding too was proving difficult. Nevertheless, after a few months of planning, contrary to prevailing opinion, Siddiqui chose his first site in a commercial development in Abu Dhabi. Any concern over whether this kind of food experience was something UAE citizens wanted was put to rest on the very first day. While most of that was good crazy, a bit of bad crazy came along with the company’s out-of-the-gate success as well. 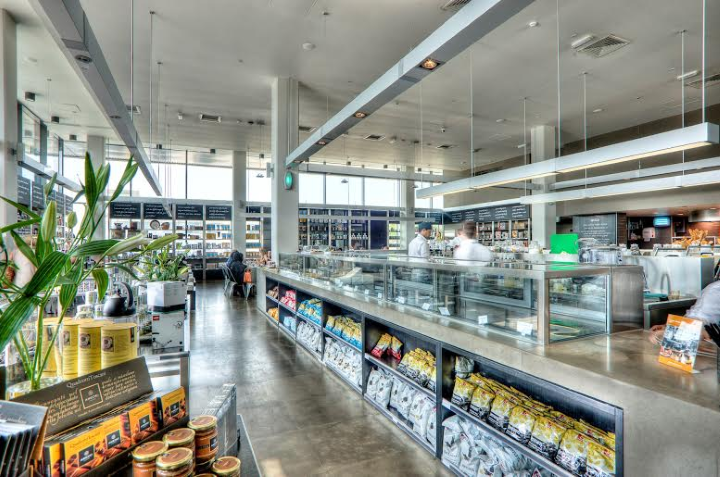 As word of mouth flew about jones the grocer, it very quickly became something the UAE had never before seen: a destination café. While the region is good at being a “cut and paste culture,” Siddiqui is not concerned with those nipping at his heels. “Our main goal is to stay consistent and deliver the best quality we can all the time. We’re continually innovating,” he says. Aside from the products, which are sourced from around the world, the stores have a design DNA that runs through each one. While Siddiqui owns the UAE side of the business, a minority stake is owned by luxury conglomerate LVMH's L Capital Asia which are also the majority stakeholders of the rest of the brand. L Capital Asia has recently invested USD$25 million into tripling the store’s presence over the next three years with plans to open between 50-60 franchised stores in the Middle East, North Africa, the United Kingdom, United States, India and Asia, adding to the 18 existing stores in the UAE, Singapore and Thailand.